For most of us, choosing a smartphone is a big deal. After all, we must consider core features like battery life and software, as well as the less pressing but still important aspects, like the finish. One way to truly make a statement and distinguish your device from the rest of the crowd is to purchase a quirky case, and while the market is awash with some weird and wonderful covers, there are those that are just plain weird. 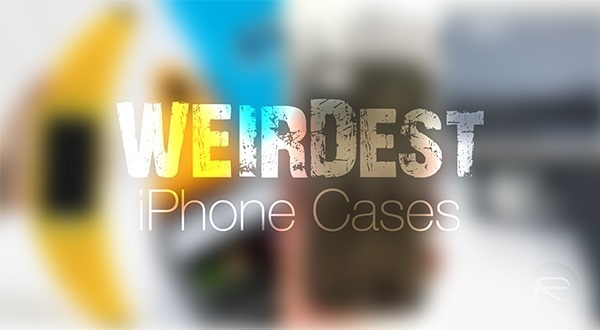 Here we round up our top 5 most weird cases for iPhone. Yep, that’s right, folks. We’re kicking things off with a case that’s not only weird, but a potentially reckless acquisition that could get you into quite a bit of bother. 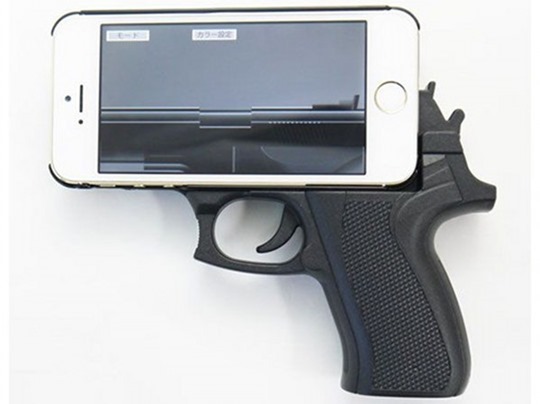 Smartphones, as we know, go into pockets, and when one bright spark recognized that guns are often concealed in similar locations, the Gun Grip Case for iPhone 5 was born. For $50, it arrives in pink, white, or the more traditional black coloring, and whilst you may have fun with it at parties with friends, it’s probably be ill-advised to wander the streets with such an accessory. Almost every movie released around the turn of the millennium featured a flippy, clamshell mobile phone, and if you’re feeling a tad nostalgic, then the thumbsUP! will help you to relive old times. Of course, the thing about innovative, progressive hardware design is that, well, flippy handsets don’t make that much sense any more, so makes our list for its lack of practical value. 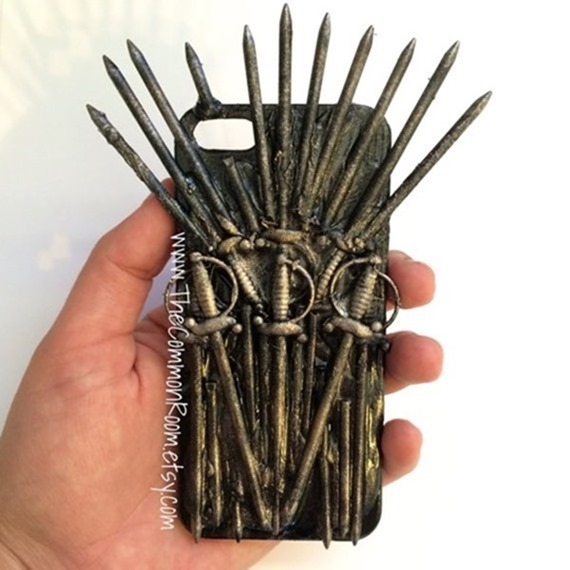 Even if you aren’t an avid GoT fan, you will no doubt have heard of it, and this specialist case – created and sold via the quirky social boutique that is Etsy – was first featured here back in August. We had some reservations about it then, and our sentiments remain largely unchanged; it’s cool and all, but it’s still a tad too spiky to nestle comfortably in our back pockets. Remember Banana Phone song? 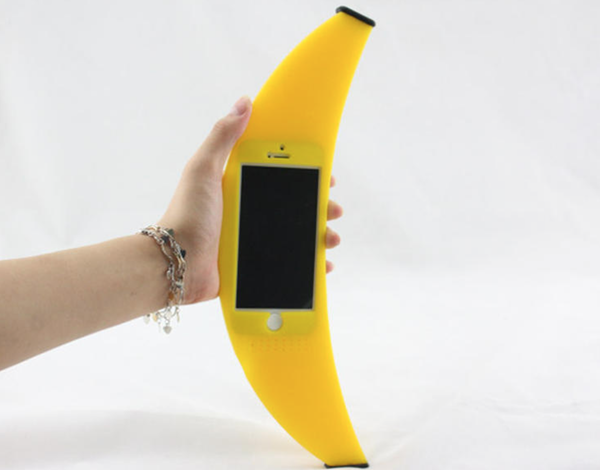 Perhaps less fondly reflected upon than the aforementioned flip phones of the nineties, the life of the Banana Phone – or should we say, Banana iPhone – lives on courtesy of this dirt-cheap case. At six bucks, it’s not going to cost as much as your traditional iPhone cover, but then again, you’re paying for the ability to look clownish everywhere you go. To purchase an iPhone case solely for its bottle-opening abilities is definitely unusual, although having such an implement on call seems quite novel by the same token. If you like to kick back with a bottle of beer, cola, or some other glass-bottle-metal-top combo, then this could come in very handy, and with an accompanying app to boot, you could have quite a lot of fun with it. 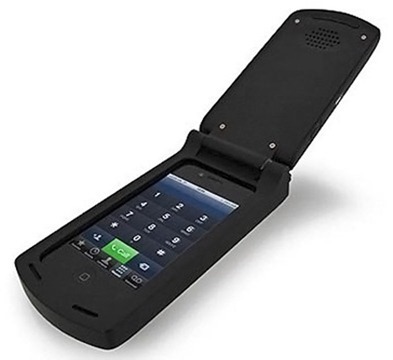 So that concludes our top five most weird iPhone cases. None of them make much practical sense with the exception of the bottle opener, but even then, there’s the trade-off of the added bulk. 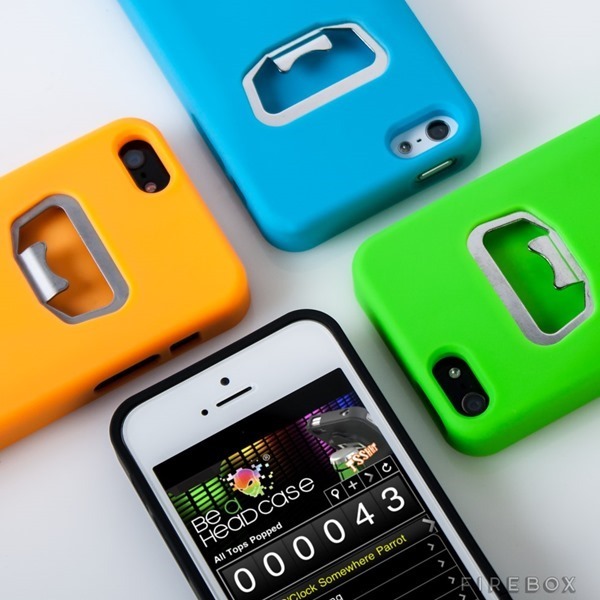 Would you buy any of these cases for your iPhone? Such good English by RP. “The most weirdest” makes so much sense. This will automatically add all the best Cydia Sources and give you access to all the best Cydia Tweaks, Themes, Apps and all the Betas I’m testing with just a push of a button. Follow the steps below. This will give you all the best Cydia Sources to have access to all the best Tweaks, Apps and Themes.. It actually says Most Weird not Most Weirdest…. But either one is awful English. Me thinks that the OP is nothing but an illiterate chavvy pleb, and really needs to brush up on their English. And the phone cases are just utter garbage!